Being considered as a mystery by Western medical experts for hundreds of years, the effect of acupuncture has recently been proved with scientific experiments using Magnetic Resonance Spectrum Technique by Radiation professor Songhua Zhan, who works in Shang Hai Shu Guang Hospital, an affiliative hospital of Shang Hai University of Chinese Medicine. As the ancient story goes,"While an needle, as thin as as a thread of ox hair, is pricked into a point on your leg, the old stomach problems, which may torture you for a long time, could be settled.” There are almost 720 points on human body, with each has its unique effects when applied with acupuncture or moxibustion, recorded in Chinese ancient books. In fact, thousand years ago, Chinese medicine has established a complete system of the channels(meridians) and points, which has not yet been proved by western medicine.But, with the failure of finding an tangible anatomical difference of tissue between the acupoints and its surroundings by western medicine, acupuncture has long been regarded as Metaphysics. 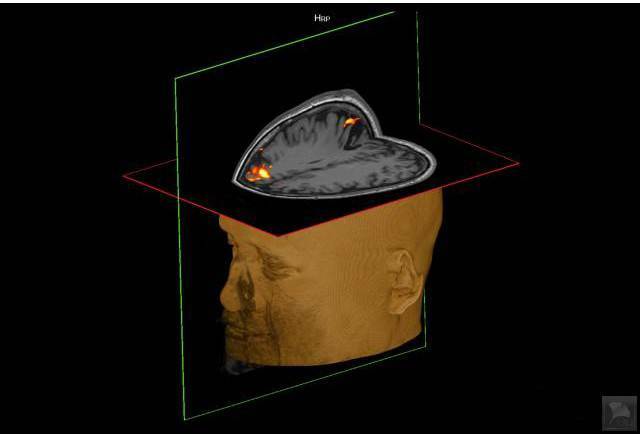 However, recently, the United Imaging, together with Shu Guang Hospital, successfully performed the world's first real-timeimaging of brain function with magnetic resonance spectrum technique. 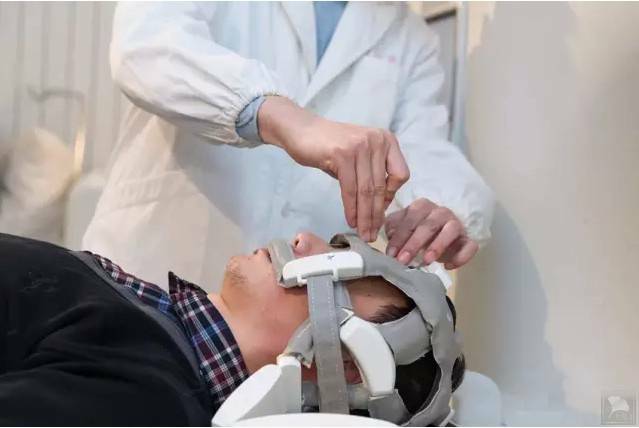 Professor Songhua Zhan, with his team designed to visually show the close relationship between the stimulation of acupoint on the head and the reaction of the nerve, particularly the specific regions of the brain cortex, with magnetic resonance imaging. This can verify the conclusion that acupuncture on head can influence the brain function, and that by regulating the brain, it can affect other systems. At the beginning of December, as the experiment scheduled, one subject wearing the equipment was sending to a scanner, while in the operation room, Professor Songhua Zhan was staring at the screen for the expected signals. The results of post-processing soon came out. 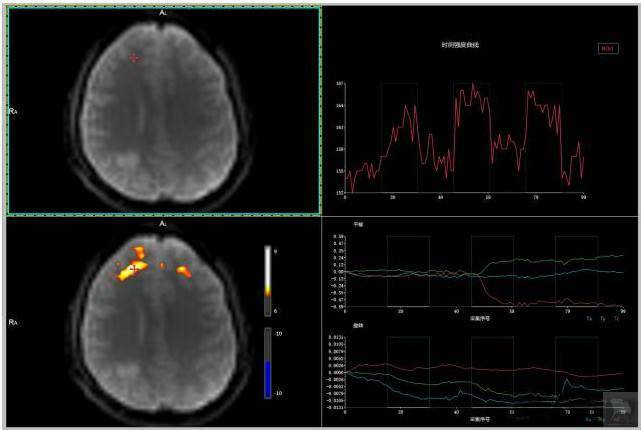 As expected, the frontal lobe and limbic system of the subject appeared high signal which revealed that it was activated. 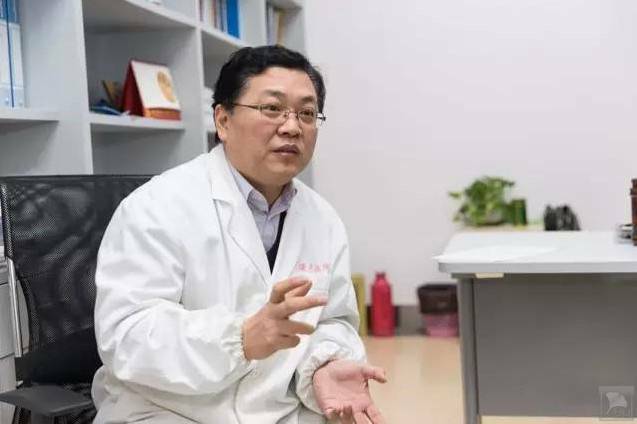 Professor Songhua Zhan concluded that acupuncture on Baihui acupoint can affect the activities of the brain and regulate the parasympathetic nerve and neuroendocrine system which finally improve the gastrointestinal function. 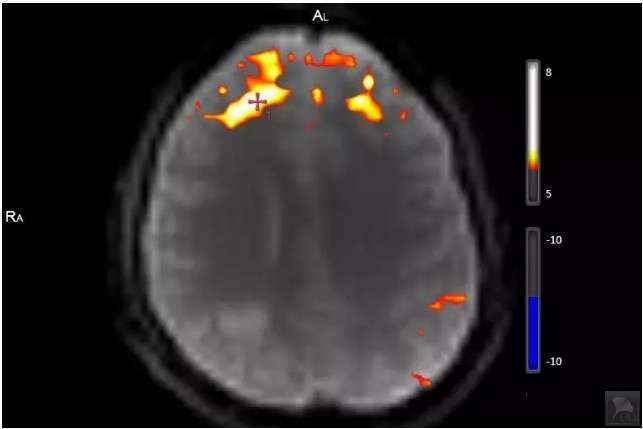 This is the first experiment to verify the effect of electro-acupuncture with real-time magnetic resonance imaging technique. It sets a good example in researching the relationship between the acupoints and the brain. Prof. Songhua Zhan said, “with United Imaging, we are now verifying the effectiveness of acupuncture, moxibustion, Tuina in the treatment of cervical conditions and lumbocrural pain and we will do more work to evaluate and verify the effectiveness of acupuncture and moxibustion on acupoints”. This passage is from the United Imaging （联影）. Re-edited and translated by Qihuang Healthcare (QH).